Have a survival kit: ricola, Purell, gatorade, advil and antacids can be brought or bought on site. Favorite talk (not by me): I look forward to Sounil Yu’s talk on “Understanding the Security Vendor Landscape Using the Cyber Defense Matrix.” I’ve seen an earlier version of this, and like the model he’s building a great deal. A lot of guides, like this one, are not very comprehensive or strategic. John Masserini’s A CISO’s Guide to RSA Conference 2016 is a very solid overview if you’re new, or not getting good value from a conference. While you’re there, keep notes for a trip report. Sending a trip report helps you remember what happened, helps your boss understand why they spent the money, and helps justify your next trip. I like trip reports that start with a summary, go directly to action items, then a a list of planned meetings and notes on them, followed by detailed and organized notes. 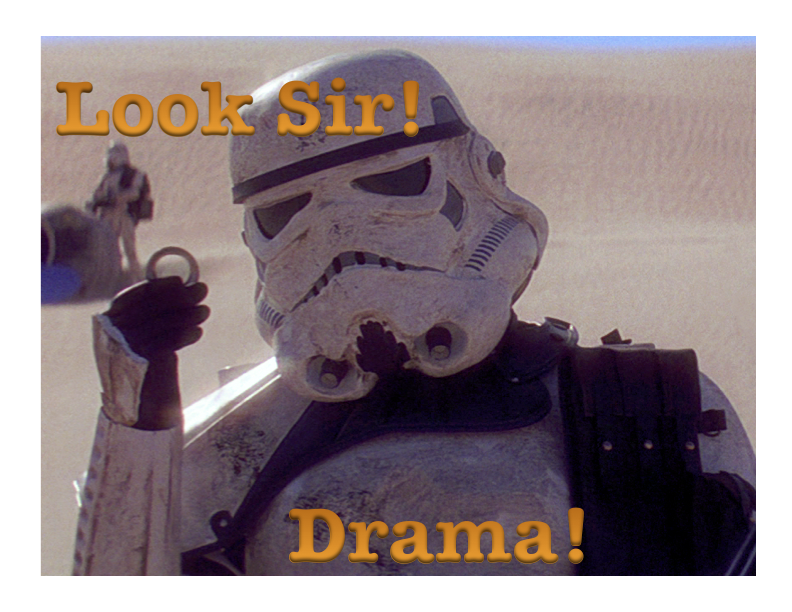 Also while you’re there, remember it’s infosec, and drama is common. 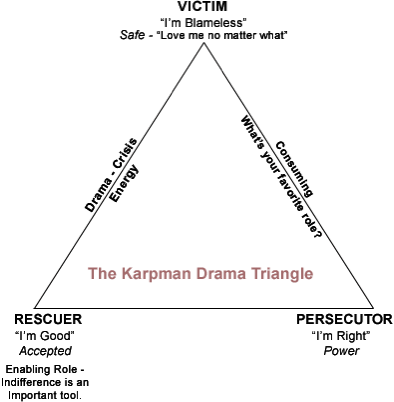 Remember the drama triangle and how to avoid it. Hacking humans is an important step in today’s exploitation chains. From “2011 Recruitment plan.xls” to instant messenger URL delivery at the start of Aurora, the human in the loop is being exploited just as much as the machine. In fact, with the right story, you might not even need an exploit at all. What any of these attacks might teach defenders about user interface design. At BlackHat we like talks about hacking stuff. We like technical talks. We don’t like pure theory, without demonstrated application. We don’t have talks about getting a UPS uniform. If you have such content, I encourage you to check out the Black Hat Call for Papers and consider submitting by April 15th.